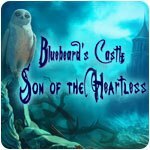 Bluebeard's Castle: Son of the Heartless Game - Download and Play Free Version! Bluebeard's son must destroy the dark heart! Eighteen years have passed since the last of Bluebeard's wives managed to escape with her life, and the life of their unborn son. As he approaches manhood, the young man now faces nightmares that threaten to drive him mad. His aunt reveals the true tale of his father's past. If he does not destroy the immortal heart that cursed his father, he shall die before his next birthday. 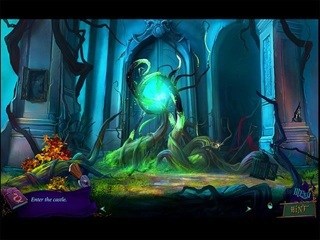 Even as he approaches Bluebeard's Castle he can feel his heart slowing. He doesn't have much time. 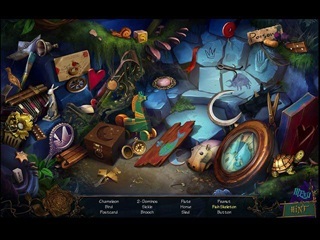 He must find the dark heart... or die trying in Bluebeard's Castle: Son of the Heartless, a heart-pounding Hidden-Object Puzzle Adventure game!